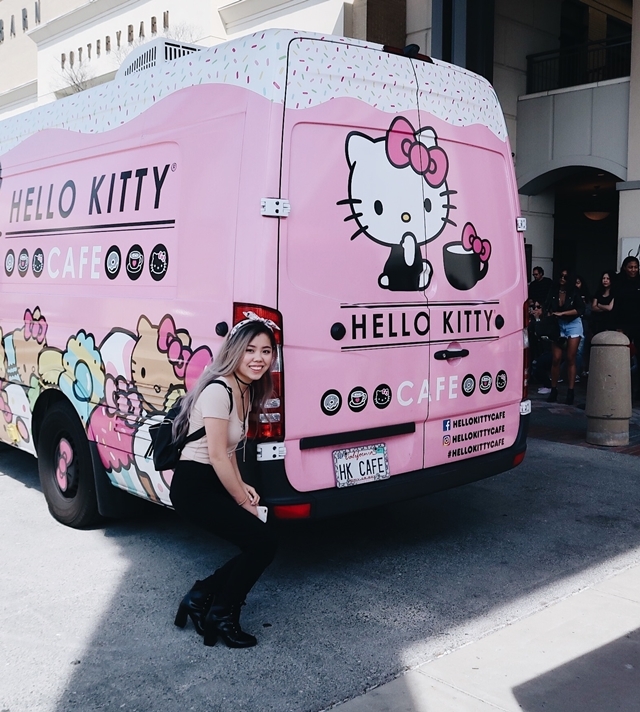 I finally saw the infamous Hello Kitty Cafe truck in person! Although, we did not manage to get anything, I did manage to get a picture with the truck! We actually went back later in the day after we were done with our errands, but everything was pretty much sold out except for the shirts... I was a bit disappointed, since I wanted a mug but oh well - I saved money! 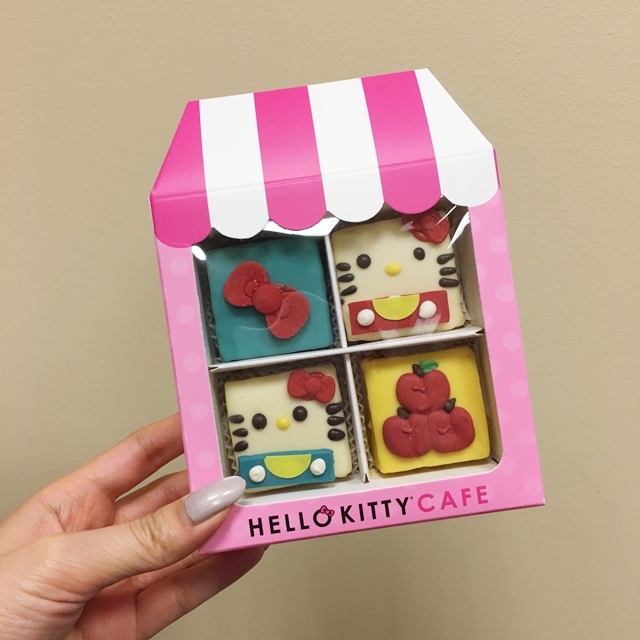 But then, my friend said she'll share her Hello Kitty cakes with me which was so incredibly nice! We were both hesitant to try it because it looked very sweet. I tried it; and it was sweet, but somehow I kept wanting to eat more of it. Mind you, I don't like overly sweet things - I'm a savory/umami type of girl, but there's just something about these cakes that was so good! They were almond cakes and each had a different filling - one was lemon and the other was chocolate. I went to the one in Pentagon. It opened at 10 but the line started at 8. I arrived so early to get in line. But it's funny because Pentagon row is a big stop for tour buses and tourists were like "what is this line for? 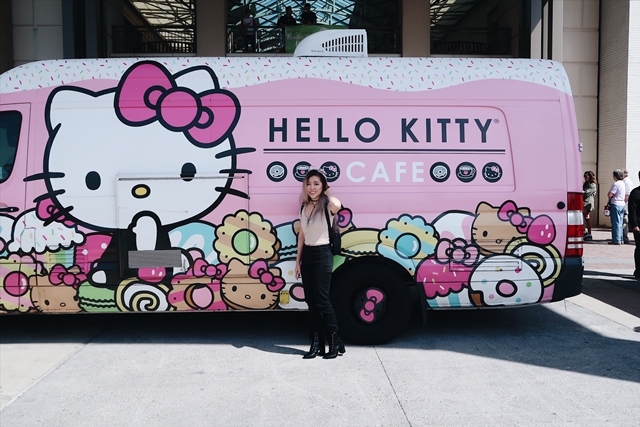 People are lining up for hello Kitty?" Men especially did not understand the craze.